It’s possible to get an error message as a pop-up on your home screen that says, “No SIM card Installed” or as a notification on your status bar that simple says “No SIM”. But what causes this message to appear in the first place? Generally, this error message will appear if the SIM card in your device is not placed properly. When this happens, your device can’t read the SIM card. But in some circumstances, the message can also indicate that there are corruptions within the iOS software that create this error, which block your device from being able to detect the SIM card in your device. The error could also occur if there is an issue with the SIM card, like if it is broken or missing from the device, or if you are having network connection problems. Even with this error on your screen, your iPhone or iPad will still work just fine. Any features that don’t need cell data will function like normal, although you also can’t make calls. Thankfully, there are a few ways for you to fix this error on your own before taking it to the Apple store for assistance. This is important to check before anything else because it could be a simple fix where your SIM card was taken out of the device and simply wasn’t replaced. It could also simply be out of place, so taking the card out and putting it back in carefully could help. Before you take it out of your device, make sure it is turned off. You can open the tray by inserting a paperclip into the hole next to the SIM card tray. You may need to press more firmly than you think to get it to open. Wipe off your SIM card and tray carefully. If you spot any dust, blow it off the card and tray. Replace the SIM card and turn on your device. Take a look at your device and see if the notification has gone away. If this was not helpful, keep reading on. This is the one of the first things you should try before moving on to other steps as they might be able to assist you. They might also need to change your SIM card. Before calling, you need to confirm that your account is in great standing, including thing like having all of your bills paid off. Another quick and simple fix is to simply restart your device again. This might clear away the error message. If it does not, try another method we have listed here. For this step, you need to go into your Settings. Once there, turn on Airplane Mode. Now wait a few seconds with Airplane Mode on. Turn it off again and check to see if the error message still appears. If it does not, your problem is fixed! If it does, keep reading. 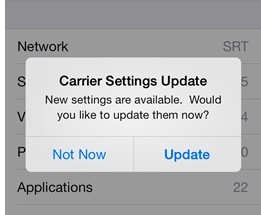 It’s possible that there could also be a carrier setting update. To see if there is an update, go into your Settings. Click on General, then click on About. If there is a new update, a pop-up will appear to let you know. If you get this alert, you can easily update by selecting the Update button on the pop-up notification. 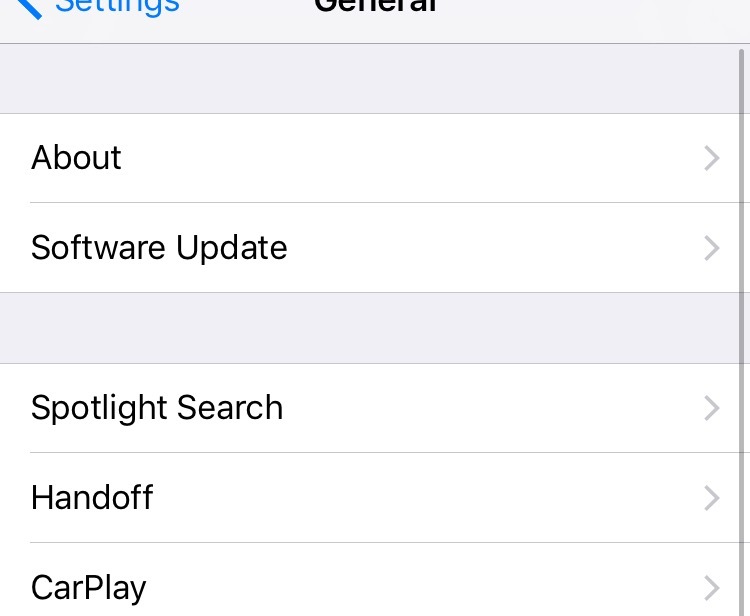 Before you update your iOS software, you might want to back up your device. You can do this by going into your Settings, selecting iCloud, then selecting Backup. After you have backed up your device, go back to your Settings menu. Once you are there, select General and then Software Update. Here, you can update your device. Of course, you might not need to update your software at this time. If this is the case, try a different step. Before explaining how to go through your device to reset your network settings, know that doing this step will reset all of your settings. This is clear from the step name, but this includes things like your Wi-Fi password being removed from your device’s memory. Make sure you have all of the appropriate information stored elsewhere before completing this step. 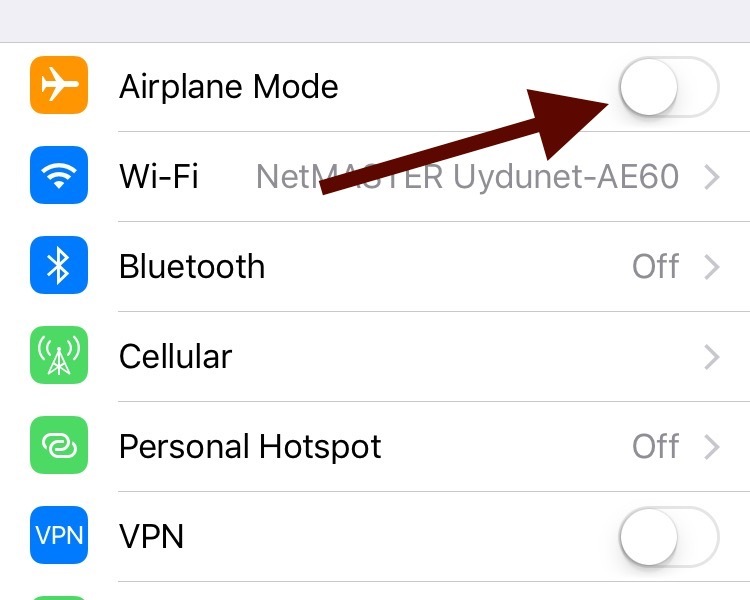 To reset your network settings, open up your Settings menu. Click on General then on reset. Here you’ll get to an option that says, “Reset Network Settings.” Click on this to have them reset. There are several ways to fix your device if an error message pops up that says that it does not register your SIM card. Hopefully at this point, one of these steps has helped you get rid of the error message from your device. However, if nothing else has worked so far, contact Apple Support. Let them know that your iPhone or iPad is not detecting your SIM card as well as the steps you have taken to try and fix the issue already.